Monte Cristo. The name conjures up intrigue in people. Monte refers to 'Mountain' and Cristo refers to 'Bearing God'. Well, the Monte Cristo homestead adheres to both of the meanings, both as a old house on the very tip of a hill and as a place where spirits roam. 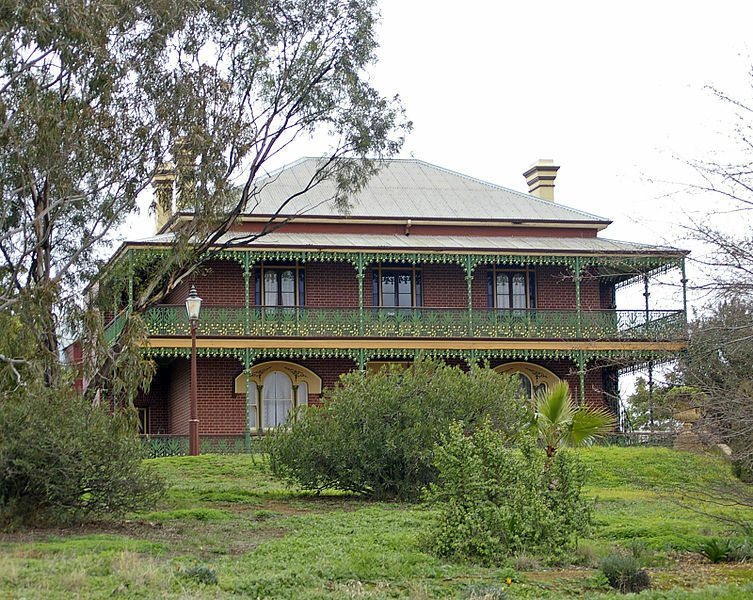 Dubbed as Australia's Most haunted House, Monte Cristo which is located in Junee attracts thousands of visitors per year as well as many documentary film-makers, and even the team of the popular FM Radio Station, 2DayFM. 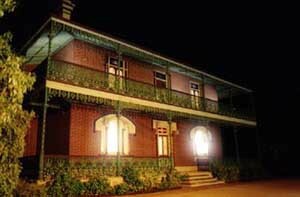 Many hoping to encounter an paranormal experience to tell. Made of wrought iron work, the homestead was built in the early 19th century and belonged to a number of wealthy families, some of which faced tragic incidents in the home. 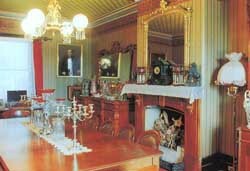 The full stories can be learned upon a tour through the home. It is worth noting that the most infamous story circulates around the Crawley family. Mr and Mrs Crawley, whom both died from heart failure, continue to haunt the halls and rooms of Monte Cristo. Many visitors have strongly felt and seen Mrs Crawley's presence on numerous accounts, dressed in late Victorian clothing as she wanders the dining room, watching with an iron fist any visitor who dares to touch or pick up objects. Here are just a few of the testimonies of visitors to the homestead to entice you. "On one of the house tours I was showing a mother and daughter through, having covered the ground floor without any problem I preceded to lead them upstairs and waited for them to catch up in the hall. After waiting a few moments I peered over the banister to see where they were, finding both appearing to have trouble moving and on reaching the landing midway seemed incapable of ascending further. Both said in a worried tone some unseen force was stopping them going up, however once they moved down and away from the steps the problem disappeared". "The presence of Mrs Crawley was strongly felt in this room by psychics, when the ABC brought a group here for the "Big Country". We served them lunch and diner in the room. On several occasions during meals medium, Van Blerk, got up and left the room without explanation, waited outside a few moments and returned to his seat. He later told us Mrs Crawley had ordered him out of the Dining Room, so for harmony's sake he waited until her "presence" had left the room before returning to his seat". If you want more stories from Monte Cristo, then visit the website or book your place for the tour through Monte Cristo. It may be expensive to spend the night but the price covers dinner, the ghost tour, bed, and breakfast.